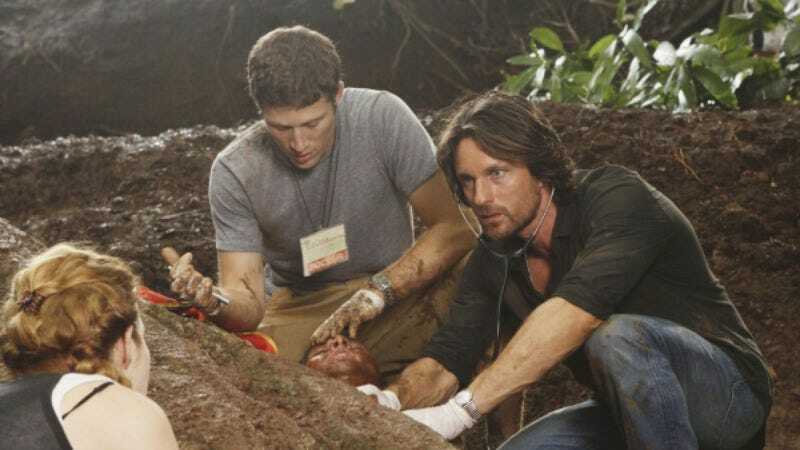 In Shonda Rhimes’s continued efforts to fill the void she created by killing McDreamy, Martin Henderson has been cast as the newest hot doctor to saunter through the halls of Seattle Grace, Deadline reports. Henderson will be a regular for the show’s 12th season, and while specific details about the character are unknown, he’s expected to be a surgeon. Henderson is no stranger to Shondaland or to playing a steamy doctor, having starred in 2011’s medical drama Off The Map as Dr. Ben Keeton before the series was cancelled in its first season. He also starred in the Shondaland-produced, D.C.-set drama pilot Inside The Box, which ABC never picked up. Rhimes must have decided that after two failed projects, Henderson deserved a shot at her most immortal series. But while Grey’s Anatomy seems to be unkillable, the same cannot be said of its characters, so as with all Grey’s casting news, we urge you to not get too attached. Rhimes could decide at any point to off the sucker.